Amnesia at the Andrea Rosen Gallery brings together three ambitious projects: Felix Gonzalez-Torres’ “Untitled” (It’s Just a Matter of Time) from his Billboard series, 12 On Kawara canvases from the artist’s Today project, with each work representing a month of one year, and a video program over nine monitors curated by Rebecca Cleman and Josh Kline of Electronic Arts Intermix (EAI). 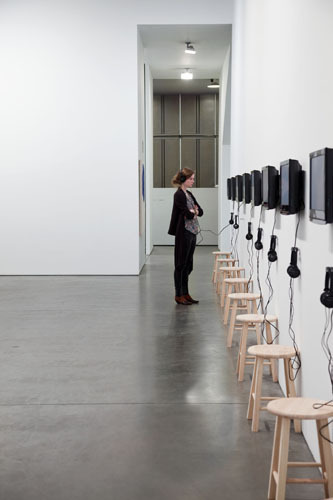 The show attempts to bridge the gap between seemingly incongruous works through the very theme of discontinuity. Amnesia references the gaps in memory that extend to the fibers of culture, and, ultimately, the historical archive. 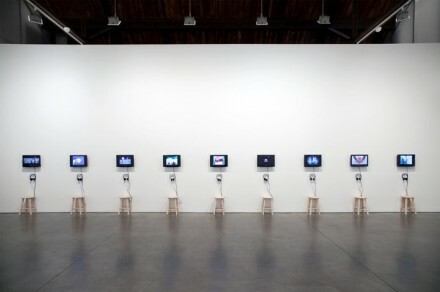 Video acts as a link between the On Kawara and Felix Gonzalez-Torres works, which both reference an underlying interest in media. The program curated by Cleman and Klein explores four themes related to gaps in memory and history. The curators describe these themes as: natural amnesia, willed amnesia, forced amnesia, and, perhaps most interestingly, historical amnesia: the misrepresentation or complete erasure of the cultural record. The use of video is inherently tied to the notion of memory, as the medium tends to oscillate between documentation and subjective experience. For the viewer, the action of being bombarded by media recalls the sense of immediacy and sensory collapse associated with flipping through late-night TV. Felix Gonzalez-Torres’ “Untitled” (It’s Just a Matter of Time) examines the artist’s lifelong interest in the relationship between public and private space. 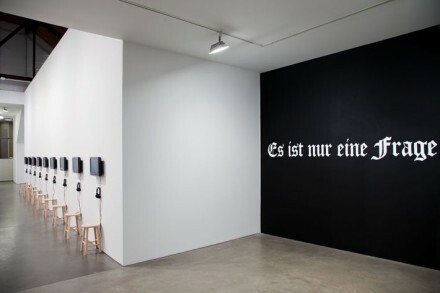 First exhibited at the Kunstverein Hamburg in the 1992 exhibition Gegendarstellung: Ethics and Aesthetics in the Age of AIDS, “Untitled” (It’s Just a Matter of Time) features the text of the work’s parenthetical title in the original German in white Gothic font against a black background. 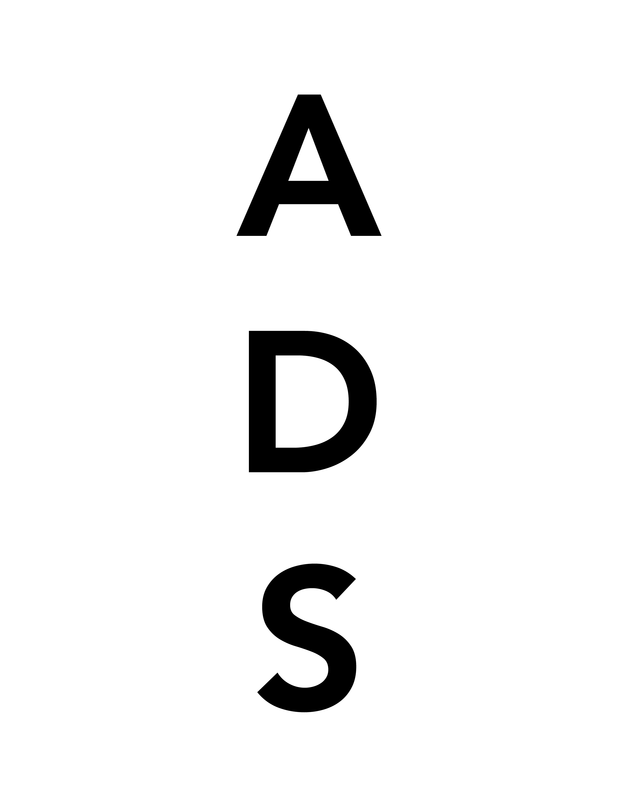 Andrea Rosen is exhibiting identical billboards in Düsseldorf, Paris, Tokyo, and Brooklyn locations in conjunction with the exhibition Chelsea. 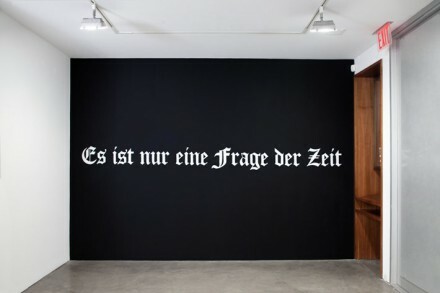 In doing this, the exhibition interrogates the relationship between time, space, and meaning, as well as the more overtly political notions of visibility and language. The fact that these same billboards, designed for a specific location at a specific moment, continue to be exhibited in a different context, serves to alter their meaning with each new installation. Since the early part of his career, the work of Felix-Gonzalez Torres has explored the relationship between time and space. Yet the curators appear to refute the long-standing belief that the work of Felix Gonzalez-Torres is merely about degradation through the passage of time. Rather, they suggest that both his billboards and the canvas of On Kawara meditate on the relationship between location and meaning. 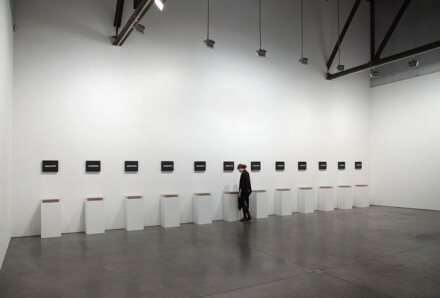 Kawara’s works represent markers of a lifelong project: each painted canvas reads a date, painted starkly and formatted in the style of the country where the work was realized. Each finished canvas serves also to signify a full day of work. In the installation, under each painting sits a small handmade box which houses newspaper clippings from the day during which the work was realized. This, too, references the gaps in memory associated with amnesia: the viewer is shown a selection of events which excludes forgotten moments. The curatorial statement associated with the show is a cerebral mediation on the importance of forgetting and the authenticy in discontinuity. History, as it is archived through subjective means, depends on these gaps of memory to lend a sense of the real. On Kawara is quoted in conversation with Lucy Lippard, saying “I die once so I have only one life. Literally speaking, continuity means nothing and discontinuity means existence.” With Andrea Rosen’s Amnesia, the relationship between amnesia and authenticity are realized as the gaps in the continuum serve to heighten and make real the moments we remember. This entry was posted on Monday, January 17th, 2011 at 1:34 am	and is filed under Go See. You can follow any responses to this entry through the RSS 2.0 feed. You can leave a response, or trackback from your own site.